Choices in the health insurance marketplace are always a good thing. A relatively new choice to patients who may be looking for alternatives to the Obamacare Health Insurance Exchange and traditional health care is now available—it is called Direct Primary Care or DPC. Direct Primary Care began in the late 1990s and recent numbers show there are approximately 790 Direct Primary Care practices in the U.S. What the DPC model accomplishes is allowing family physicians an alternative to fee-for-service billing. This is accomplished by charging patients in billing cycles of monthly, quarterly or annual fees. The fees cover primary care services including consultations, laboratory testing, clinical and other medical services. For services not covered by DPC, it is a good idea to purchase a supplemental wrap-around policy to cover emergency expenses or expenses not covered by the DPC plan. Paying an all-inclusive, flat-rate fee for unlimited access to a primary care physician is an attractive option for patients. Fees generally run anywhere from $50 to $150 per month depending on the provider and the services offered. It’s like paying for an exclusive membership to your doctor’s office and patients can receive a very personalized care experience spending quality time with physicians. Office visits can last longer, 30 minutes to an hour, giving the doctor time to really get to know patients and their medical histories. Some DPC centers allow access to your doctor through phone appointments, video chats, text and email, and even FaceTime in some cases, as well as still providing access to traditional office visits. Medications often are available at a discount to the patient. Not only is the DPC model beneficial to patients—doctors love it as well. It reduces overhead expenses; there is less paperwork, fewer medical errors, more quality time with patients, a decreased doctor-patient ratio, and no filing of insurance. Collections are also easier through this model for doctors since patients seem to be more willing to pay a membership fee, so to speak, rather than an itemized medical bill. This model is getting a lot of attention and positive reviews from new doctors, established family physicians, pediatricians, and other health care providers who are anxious to offer their patients an alternative to the traditional fee-for-service medical care system. As you may have guessed, insurers don’t care much for DPC since participating doctors don’t take insurance. The insurance companies also raise concerns that DPC clinics may become over-burdened and begin neglecting patient care. Insurers also claim that many direct primary care providers are over-charging patients for services provided. Twenty-three states, so far, have enacted laws that classify direct primary care practices as “not insurance” and therefore, these practices are not regulated like an insurance company. The Direct Primary Care movement has the potential to simplify healthcare for patients and doctors alike. Still, health insurers do raise concerns about separating insurance from primary care when those patients may ultimately end up needing insurance, particularly for those services not covered under the DPC model. 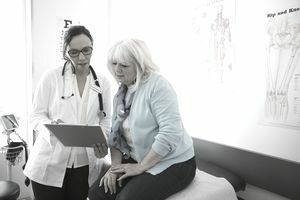 While there are quite a few advantages to the DPC system, one disadvantage is the inability to have a health savings account (HSA) while a member of a direct primary care practice. This is because the Internal Revenue Service sees your monthly fees as insurance payments which make you ineligible for the HSA. Funds from an HSA are also not allowed to be used to pay for DPC membership fees. Legislation introduced to repeal this rule failed in a Senate vote in 2017. An example of one of the first successful primary care providers was Qliance. This DPC provider was started in 2007 in Washington State and backed by Michael Dell (founder of Dell Computers) and Jeff Bezos (Amazon CEO). Company leaders later bought the practice and ran it privately. Qliance had more than 25,000 patient memberships through clinics in the Puget Sound area. However, as of June 15, 2017, Qliance closed its operations. Shawn Martin, VP of American Academy of Family Physicians, estimates DPC facilities make up about 3 percent of U.S. family practices. Another successful DPC operator is Iora Health which operates in 8 states with 124 practices. Iora has plans to expand and open 12 more practices in the near future. Most direct primary care practices operate locally with doctors who have built their own practices. Spending more time with patients gives doctors the ability to focus on the overall health of the patient including focusing on wellness and improving lifestyles by long-term goals of healthier eating, quitting bad habits such as smoking and establishing exercise programs. Under the Direct Primary Care model, patients can say goodbye to those dreaded itemized medical bills and enjoy unlimited access to their physicians through a monthly, quarterly or yearly fee. A supplemental health insurance policy is still a good idea for the services not covered by Direct Primary Care. The DPC model is growing in popularity and patients can expect to see more healthcare providers offering this option in the near future.